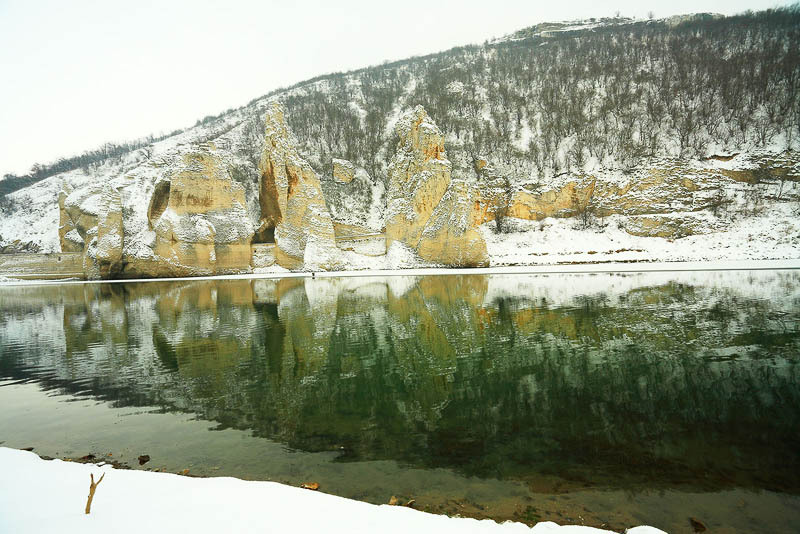 Winter scenery of covered with snow mountain hill with interesting rock formations on dam lake shore. Cold, frost in nature. Natural stone formations on coast of lake.